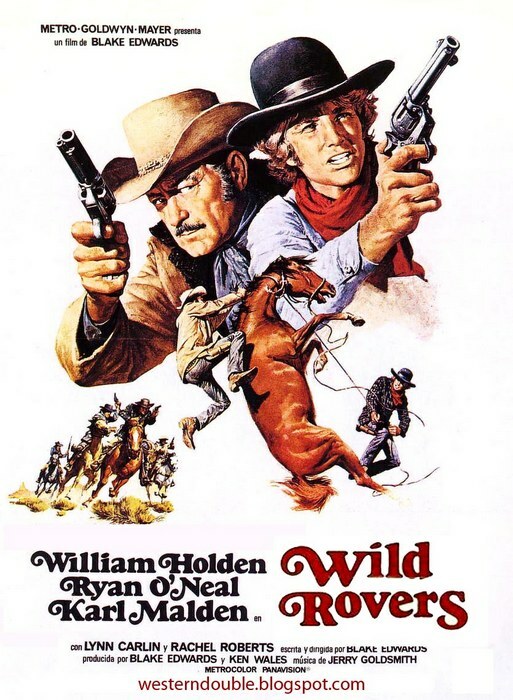 Rupert Pupkin Speaks: Warner Archive Grab Bag: WILD ROVERS, LOVE ON A BET ""
I'm not typically a fan of Blake Edwards. 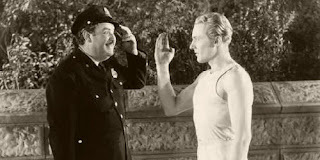 I won't get into it too much, but let's just say our sensibilities with regard to comedy don't quite mesh. I can't even watch BREAKFAST AT TIFFANY'S anymore for example. Edwards' portrayals of minorities and women(and how they are treated in his films) are just too much for me a lot of the time. I understand that part of it is that the Edwards' comedy is of its time, but that doesn't make it easier to take. So it's no surprise that I held off on seeing this film for a very long time. I used to see the cover of the widescreen lasederdisc staring at me from behind the counter of the video store I was working at in early 2000. The poster image of Ryan O'Neal hugging William Holden just never grabbed me. Just felt like there'd be too much goofy cowboy palling around and dopey comedy. Right away though, WILD ROVERS let me know it wasn't going to be your typical Blake Edwards movie. It opens with a long sequence of some cow hands starting their day. Very deliberate in its pacing. One thing that got my attention right off was the cast as the opening credits rolled over picture. 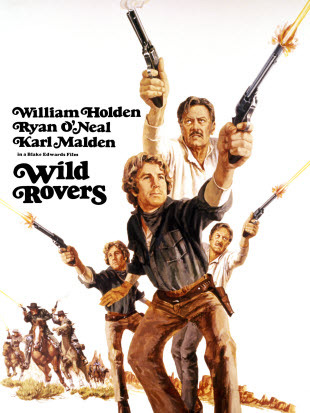 I mean, I knew Holden and O'Neil were in it, but I hadn't realized that Karl Malden, Tom Skerritt, Joe Don Baker and Moses Gunn were also on board. A great cast to be sure. Anyway, I guess I'm just used to Blake Edwards cutting to something (often broadly)comedic pretty quickly. Instead, there's an extended existential conversation between O'Neal and Holden. I do love it when I can feel a movie taking its time in the beginning. Certain movies that is. Sometimes it's just tedious, but when you can sense you're in the hands of a veteran filmmaker, it is a neat feeling. It's easy to see why folks might not have known what to make of this movie when it came out. First off, it's a western so right away that's not the kind of thing one expects from Edwards. Of course, those expecting a standard comedy certainly don't get that. Not that there aren't moments of humor, but the film really is quite a mix of stuff. There's tension as well as drama. Some might call it meandering(at 137 mins, it's got some girth), but I rather liked it. Truly, if I didn't know it was Edwards I'd never guess it. His normal partner in music(Henry Mancini) isn't present here. Instead Jerry Goldsmith has stepped in and delivers a great western adventure score. Kinda Elmer Bernstein-ish in parts. Also, there are some odd, almost Peckinpah-like, flourishes of slow-motion that I didn't expect to see. While watching it, I was thinking that it felt like a filmmaker trying out some new ideas/techniques and that was intriguing. Ultimately though, what Edwards has put together here is a very interesting western that goes well with other 70s genre efforts like BAD COMPANY or something along those lines. It is a pretty unique film though for sure. Worth a look. A working class SULLIVAN'S TRAVELS-esque screwball road trip comedy with charm to spare. A young playwright sets up a wager to secure backing for his play. He must get from New York to Los Angeles in 10 days, starting with nothing but his underwear and ending with a suit, $100 & a fiancé. The film has a very freewheeling affability to it that is remarkably infectious. 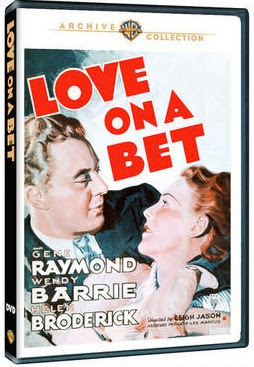 Gene Raymond has a field day inhabiting the adorably clever script by P.J. Wolfson(who also scribed the equally adorable VIVACIOUS LADY) & Philip J. Epstein(CASABLANCA). I was unfamiliar with Wendy Barrie, but she makes a lovely romantic foil for Raymond. The film shares a kinship with the aforementioned SULLIVAN'S as well as the unheralded holiday classic IT HAPPENED ON 5th AVENUE. There's just a warmth here that is quite irresistible. As I believe was mentioned on the always insightful Warner Archive Podcast(https://itunes.apple.com/us/podcast/warner-archive-collection/id310063354), this movie seems ripe for a remake and I would actually love to see that happen. I recently included it on my Underrated Comedies List(http://rupertpupkinspeaks.blogspot.com/2013/03/underrated-films-series-comedies.html) and I feel everyone should check it out.